Image: Letaba Herald. This picture is for illustrative purposes only. A local resident says the schoolgirls may have been too afraid of nurses to collect contraceptives from a nearby clinic. Twenty-seven pregnancies were registered in a single school in Limpopo this year, with its pupils blaming “blessers” for this, Sowetan Live reports. The pregnant girl pupils are reportedly from Molautsi Secondary School in Blood River, near Seshego, and are said to be in grades 10, 11 and 12. A Grade 11 pupil interviewed by the publication blamed “blessers” for impregnating some of her mates. 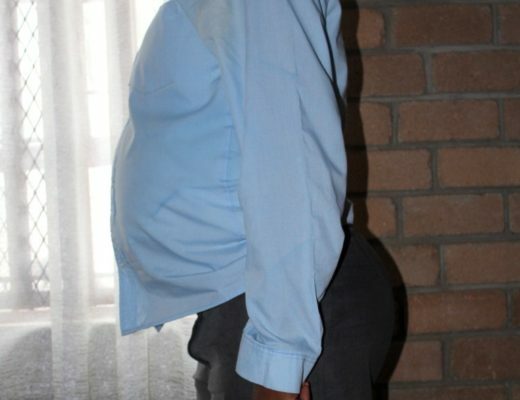 The pupil was quoted as saying the pregnant girls had said they did not want to go without money and that the so-called “blessers”, older men, had satisfied that want. “Some of these men have multiple girlfriends around the area,” the pupil was quoted as saying. A Grade 12 pupil was quoted as saying the older men provided entertainment whenever the schoolgirls patronised local taverns. The number of pregnancies at the school was confirmed to the publication by the provincial department of education spokesperson, who said the situation was worrying. The spokesperson said increased awareness in and outside schools was necessary to prevent pregnancies. “Together we can make the necessary impact and our learners will be able to stay in school and focus on their studies. Education is a constitutional right we must all protect. This should be everybody’s concern,” the spokesperson was quoted as saying. The school’s matriculants make up 14 of the total number of pupils pregnant, it was reported. The newspaper spoke to a resident in the school’s locale, who said they believed the schoolgirls had been afraid of obtaining contraceptives from a nearby clinic. “Some pupils hear stories about nurses insulting young girls, hence they choose not to go and save themselves from humiliation,” the resident said. A spokesperson for the Limpopo health department urged young girls to not accept gifts from older men, saying a programme known as ‘A Blesser Must Fall’ is currently being rolled out.